As galleries were setting up their Art Basel booths this week, and millions of dollars of art was being shipped into the Miami Beach Convention Center, Miami experienced an all-too-familiar event: a king tide. These occur when the Earth, sun and moon are in particular proximity, causing high tides to flood the city’s streets. 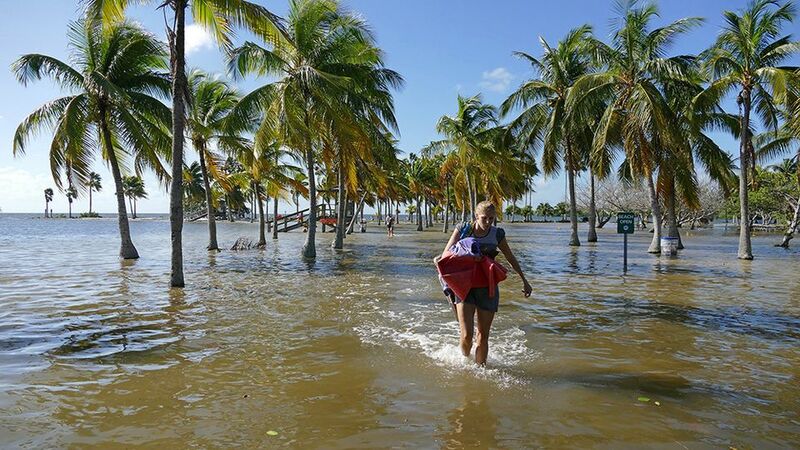 The king tides are the most visible evidence that climate change and rising sea levels are not a future nightmare but a present reality in Miami. (The increasing prevalence and ferocity of weather events like Hurricane Irma, the catastrophic storm that hit Florida in September, is another.) At the Pérez Art Museum Miami, a neon sculpture by the artist Andrea Bowers installed on the façade proclaims: “Climate Change is Real”. The work, which is for sale for $125,000, has been produced in collaboration with the ecologically focused Leonardo DiCaprio Foundation, which will split the proceeds with the artist. 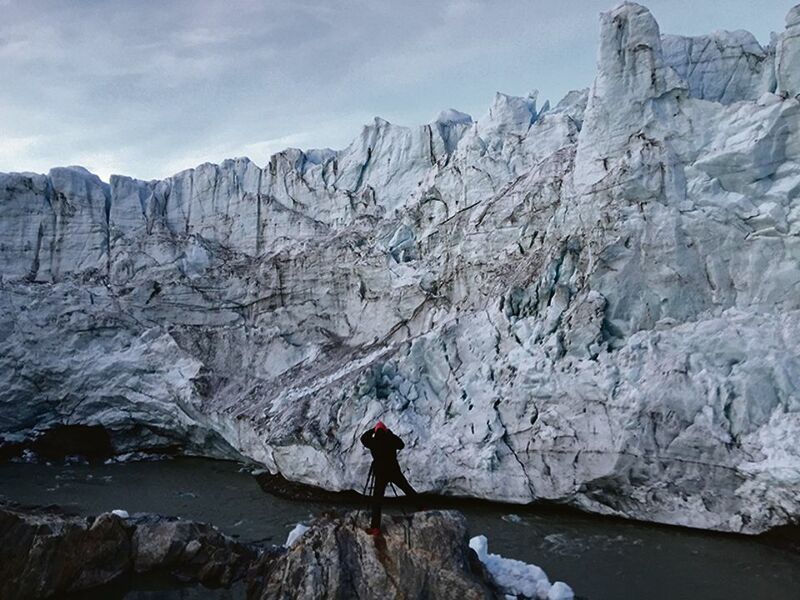 And Art Basel in Miami includes a discussion on Friday titled “Natural Disasters: Whose Crisis Is It?”, reflecting on the extent to which artists can contribute to the discourse around climate change and other environmental problems. Miami communities, especially those living on the coast, could give a straightforward answer to the question posed by Friday’s discussion: it is our crisis. And while Florida’s governor, Rick Scott, is in denial about the scientific evidence for manmade climate change—as are the head of the US Environmental Protection Agency, Scott Pruitt, and, of course, that regular visitor to the “Sunshine State”, President Donald Trump—art institutions across Florida are addressing the situation head on. 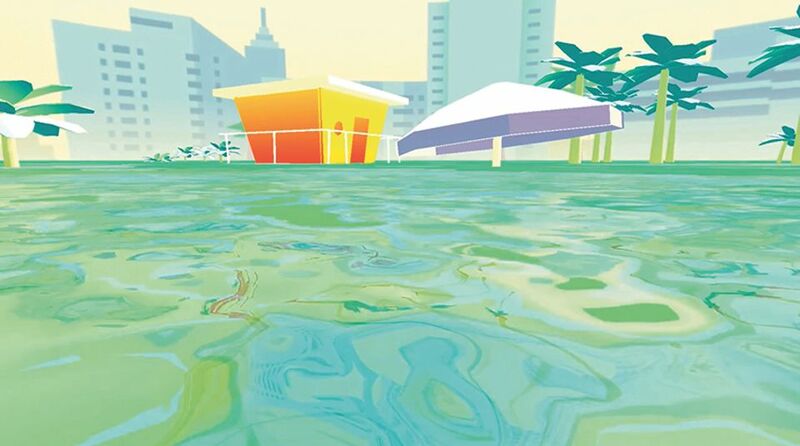 “Our city is literally ground zero in the US for climate change,” says Dennis Scholl, the president and chief executive of ArtCenter/South Florida. 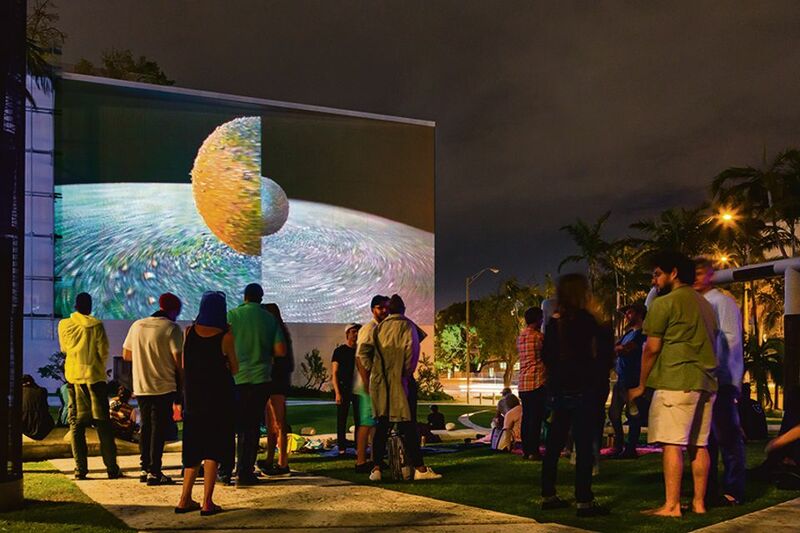 The centre has launched the Art in Public Life residency, supported by the John S. and James L. Knight Foundation, which will embed an artist in the administration of the City of Miami Beach. The resident artist, who will be chosen following an open call, will receive a stipend of $25,000, free housing and $7,500 in production costs. Together with the ArtCenter’s ArtSail residency, in which an artist responds to the ecological issues relating to South Florida’s sub-tropical coral reef, Art in Public Life reveals a forward-thinking, but also unusually pragmatic, response to environmental concerns. On the panel for the Art Basel talk is Lars Jan, the Los Angeles-based artist who is unveiling his commission for the watchmakers Audemars Piguet in Miami this week. Slow-Moving Luminaries is a pavilion on two decks, with the lower deck described as a “maze of scrim and flora”. Above, “building models that mimic the surrounding skyline [will] emerge and recede in concert” from a pool of water. Jan has described the piece as a response to Miami Beach’s proximity to the ocean. The potential of water has preoccupied him ever since he had a vision in 2010 of a person reading a newspaper in a room deluged in water, acting as if it were completely normal. He began researching catastrophic flooding events, including Hurricane Katrina and floods in Pakistan in 2010, caught in a stunning photograph by Daniel Berehulak. “I found it incredibly beautiful and horrific at the same time,” Jan says, adding that the “beauty and mystery” of that image “invited me to ask some questions”. His research prompted the work Holoscenes, shown in Miami in 2015, and in numerous cities across the world. It evokes that original vision by placing performers in a tank of water, where they carry out everyday tasks—sleeping, applying make-up, cleaning—only for the water to rise and submerge them. Holoscenes symbolised this dilemma. “That’s the thing about letting the vision lead, rather than the idea of [making] a climate change project, because there’s so much data, it’s such a complex topic. One of the work’s strengths is that the metaphor, visually, is very simple.” This, he adds, “allowed people who were invested in issues raised by the project to gather their communities and further their own conversations”. 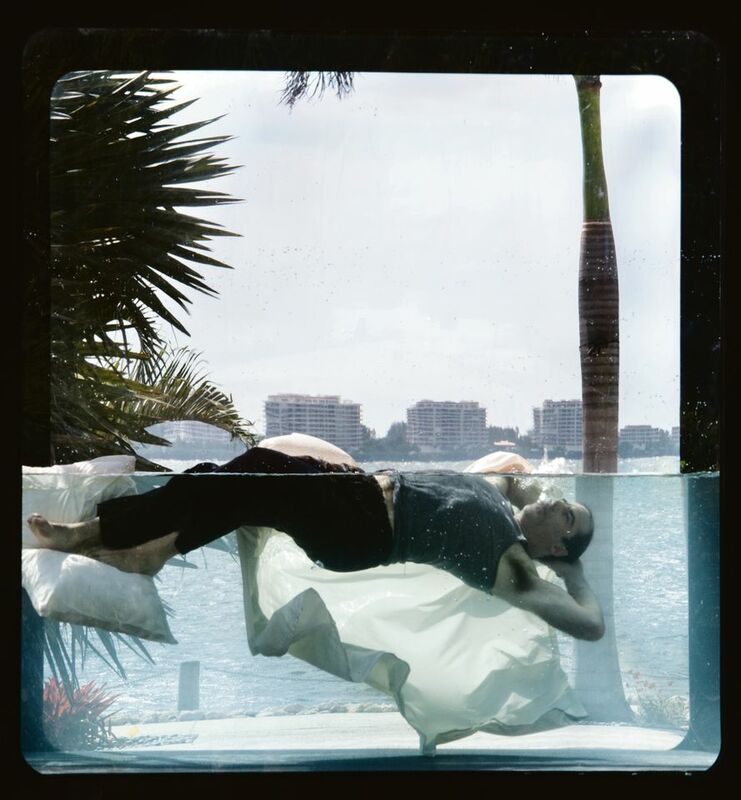 Back in Miami, Amanda Sanfilippo, a curator in Miami-Dade County’s department of cultural affairs, is behind Sea Level Rise, a series of temporary commissions funded by the Knight Foundation in partnership with the University of Miami. The programme has featured five artists working in very different media. One of them is Domingo Castillo, whose film Tropical Malaise: Prologue, a wry comment on the absurd commercial property speculation happening in a sinking Miami, used architectural visualisation technologies to imagine a post-human world, 500 million years from now. Appropriately, it was shown next to Frank Gehry’s hi-tech New World Center in Miami Beach, also developed using those technologies. Hannes Bend’s SEAing Breath, meanwhile, is a virtual reality work. With children and families in mind, the German artist created a video game-like, underwater environment. “When you start to breath in or breath out more quickly, it impacts your environment, so the sea levels change based on your biomorphics,” Sanfilippo explains. Despite climate change being literally at the doorsteps of those living in Miami Beach, Sanfilippo feels that much remains to be done in reaching out to local communities. Her priority, she says, is putting work in high-profile places “and trying to get it out of the echo chambers as much as possible”. Sure enough, those pumps were back doing their usual job on Monday, as the king tide hit Miami again.